This entertaining series looks like it’s right back on. Facing the end of their season, the Warriors rode a couple of powerplay goals and a dominant second period to a 4-1 game five victory on Monday. West Kelowna’s hopes took an early boost with Ryan Ivey and Jason Cotton both on the bench to start the game. It still left Desautels, Plant, Pantziris, Lloyd and Masters in the bleachers, and Ryan Fraser-Lee soon to join them. But the two played a full shift, and actually both played very well. Cotton had the puck on a string and made a great feed on Hope’s goal, while Ivey played big minutes on the PK, blocked shots, and added a good physical element. The whole club really did step up, with everyone doing their own thing about as well as they possibly can. It was a very even first period, and while the refs called some chincy stuff, they called it consistently and both ways. Cody Porter gloved one that looked behind him early on preventing the Vipers from grabbing that all-important first goal. There were a couple of chances and some looks both ways on early powerplays. But we ended up watching our first scoreless period of the series, and probably the most peaceful so far too. 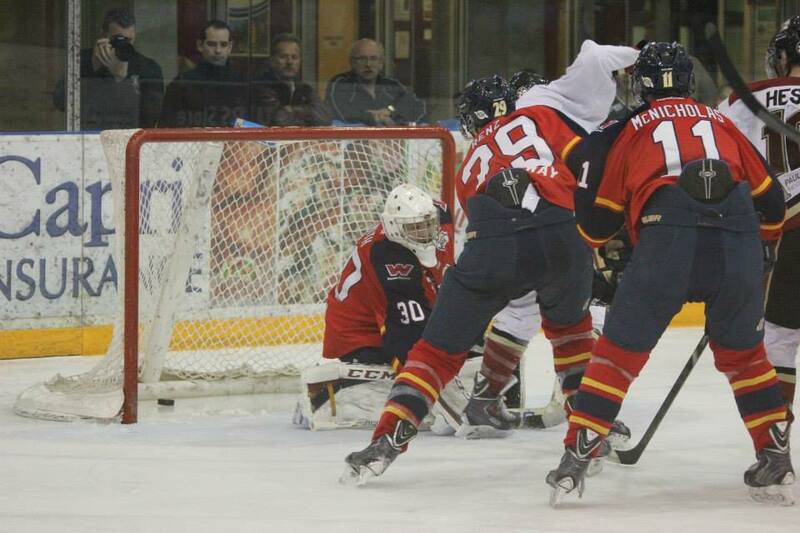 In the second period, however, the Vipers got in penalty trouble. Just like in game one, it cost them. A great hold by Ben Tegtmeyer allowed Jason Cotton to set up Kylar Hope six minutes in, and the Warriors had the all-important first goal and also a massive injection of momentum and belief. Soon after Hope had slipped his PPG past Austin Smith, David Pope walked in front and snuck a backhander through the wickets. Pope notched his second on another powerplay, with one of those clever shots of his using pace, accuracy, and the screen. Before the period was done, Matt Anholt jammed in a Reid Simmonds feed to make it four unanswered from the Tribe and a raucous second period overall. Vernon stormed out of the gate in the third and seemed to keep the pressure on for the majority of the period. Brendan Persley converted one of the crazier scrambles you’ll see 1:27 in. The Vipers huffed and puffed a bunch more. The Persley/Sparrow/Mulcahy unit led the charge once again and really has been terrific. But despite three powerplays and 15 shots on goal, the Vipers just couldn’t get to Cody Porter. The shot blocking was awesome. Gap control was like a blanket. The whole team dug deep to hang on, and in doing so earned the right to play another day. There are guys to single out, like Ryan Ivey, who looked remarkably similar to a healthy Ryan Ivey. I also loved Mac Ferner, and thought he elevated his game to a whole new level. Reid Simmonds and Tyson Dallman were separated for much of the game but both brought that rock solid presence to the table. The team was like a freight train, and Matt Anholt looked every bit the engine. Lastly, Cody Porter was outstanding in his first career playoff win. When he’s playing well, he’s way out on top of his crease. On this night, he was in orbit. He made the saves he had to and he outplayed the guy at the other end. In fact, he might have even had the game of his life. I guess the question is; can he be even better on Tuesday? 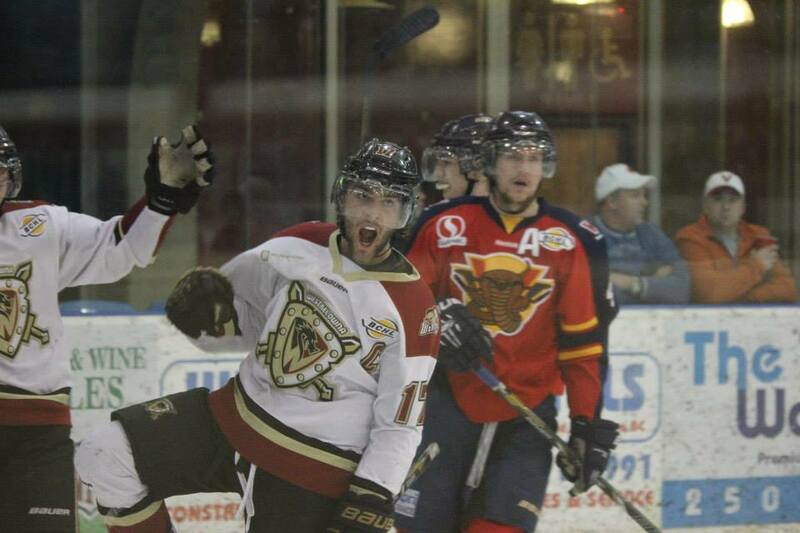 They say the fourth win can be the toughest to get, and Vernon certainly ran into a stubborn West Kelowna group in game five. But the Vipes will redouble their efforts in game six and Kal Tire Place remains an unwelcoming place for the Warriors. The Warriors now have momentum though. Belief can be a powerful thing.